In 2015, a massive earthquake of magnitude 7.8 struck Nepal, killing over 8,900 people and destroying 600,000 houses. Since the strong earthquake of April 25, 2015, there has been ongoing concern and support from the international community. 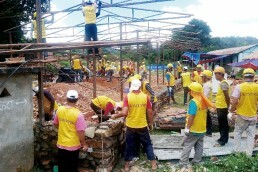 The Church of God has been carrying out far-reaching activities to reconstruct Nepal ever since the earthquake, such as donation of food and daily necessities, relief work for the earthquake-affected areas, and cleanups, in cooperation between the Head Office of the church and the local members. One of those activities is the “Mother’s School” project. 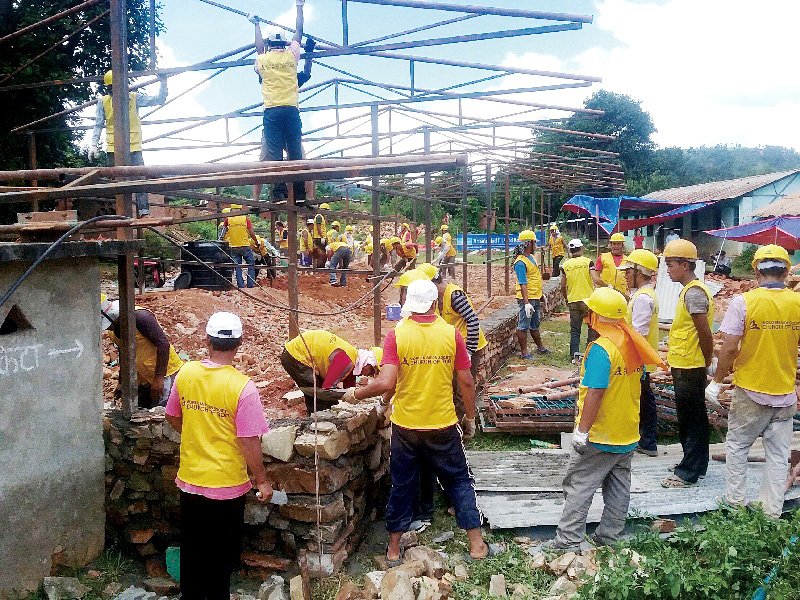 It is the volunteer work to reconstruct school buildings for the students who have difficulty in studying because their school buildings were destroyed by the earthquake. The project is very meaningful as it helps recover the school education that lays groundwork for the future of Nepal, although it is still suffering from the aftereffects of the devastating earthquake. The first Mother’s School is the Shree Basbari Primary School in Sindhupalchowk. Its construction started in August, 2015, and it opened on March 2, 2016. Shree Bhawani Lower Secondary School, selected as the 2nd Mother’s School, had suffered severe damage, with one of its buildings destroyed, during the earthquake. Over 50 students had to endure inconvenience and danger while studying in temporary tents and in the building with the additional risk of collapse, after they lost their classrooms. 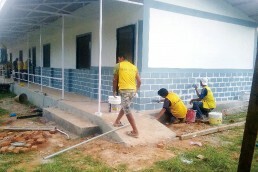 When the church members heard the news that relief work had not been carried out smoothly for over a year due to lack of manpower and budget, they rolled up their sleeves, and the 2nd Mother’s School project started. In August, 2016, the members of the Kathmandu Church ran to Kavre where Shree Bhawani School was located. They cleared all the debris and rubble away from the collapsed building and did everything by themselves—laying the groundwork, placing reinforcing steel building walls, roofing, painting, and more. 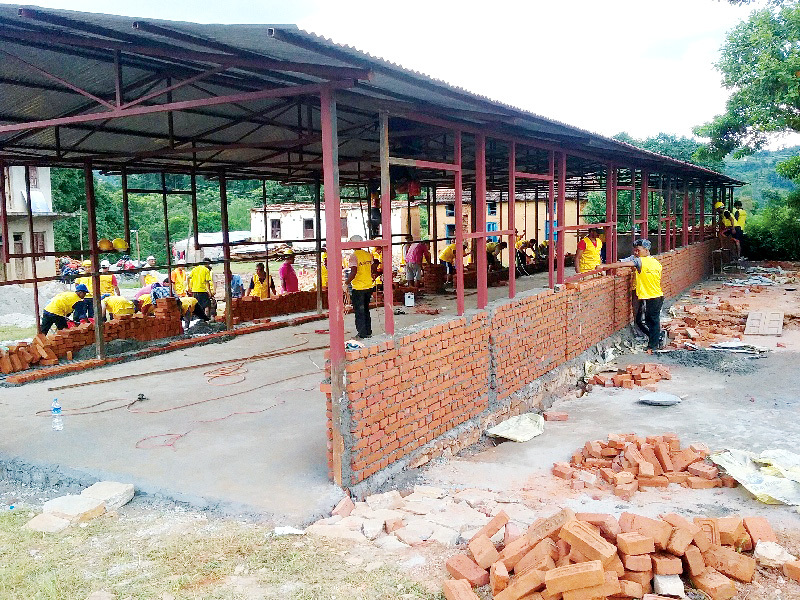 Despite the poor road conditions, they constructed the school building with four classrooms, using good quality materials which they had brought in from Kathmandu. 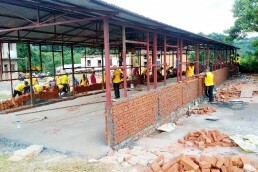 They also made desks and chairs by themselves, installed a water tank, and built a fence as well. They did everything so carefully and wholeheartedly. When the groundwork was done, a cultural experience group consisting of some Korean university students visited Nepal during their vacation and helped with the work. The new building of Shree Bhawani Lower Secondary School was finally completed, and the opening ceremony was held on November 28, 2016. The ceremony was attended by over 300 people, including General Pastor Kim Joo-cheol who was visiting some regions of India and Nepal, Keshari Raman Neupane, the Deputy Director-General of the Ministry of Education, Nepal, officials from the local education agencies, the school management committee, teachers, students, and some members from the Kathmandu Church. Pastor Kim Joo-cheol said in his address of congratulation, “I hope Mother’s School will be an educational institution that trains the students—the protagonists of Nepal’s future—with love, like a mother who is the best teacher and mentor.” Then he wished for the students to create a brilliant future by overcoming hardships and studying hard. 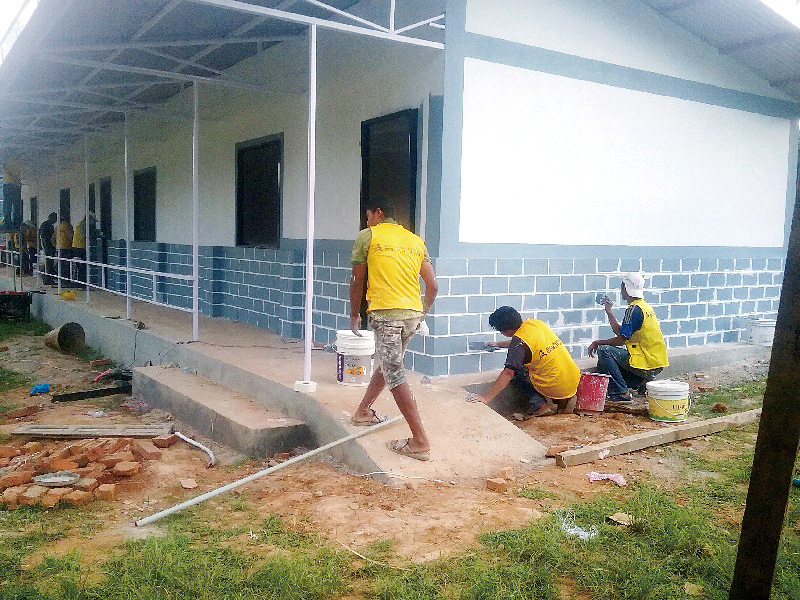 Deputy Director-General Keshari Raman Neupane emphasized that the future of Nepal depended on education and expressed his appreciation for the Mother’s School project: “This is a good case showing the warm-heartedness of Koreans. 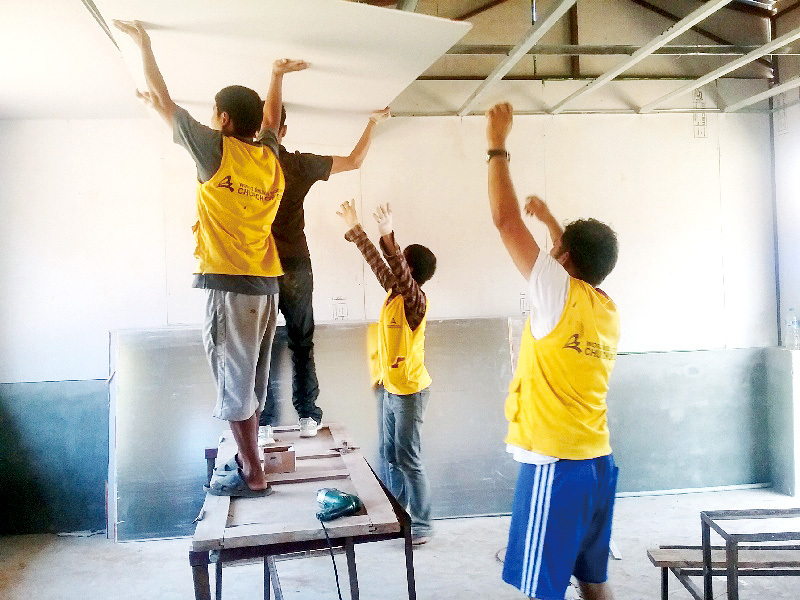 It is praiseworthy enough.” Gagan Kumar Mandal, one of the officials from the local education agencies, said, “The members of the Church of God not only built the school, but also taught the students many things during their volunteer work. We’ll remember their righteous acts forever.” Then many influential figures from each field delivered their congratulatory messages, and they all kept saying, “Dherai dherai dhanyabad,” meaning “Thank you very much”. The students expressed their gratitude through their folk dance performance. Over 20 students from the Church of God in Kathmandu responded by singing, and gave them support and encouragement. The school presented the Church of God with a certificate of appreciation in recognition of generous support for the children who are the future of Nepal. The members presented school bags and supplies to the students who were picturing their future in the newly built classrooms, and wished for God’s blessings to be upon them always.